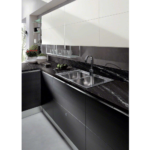 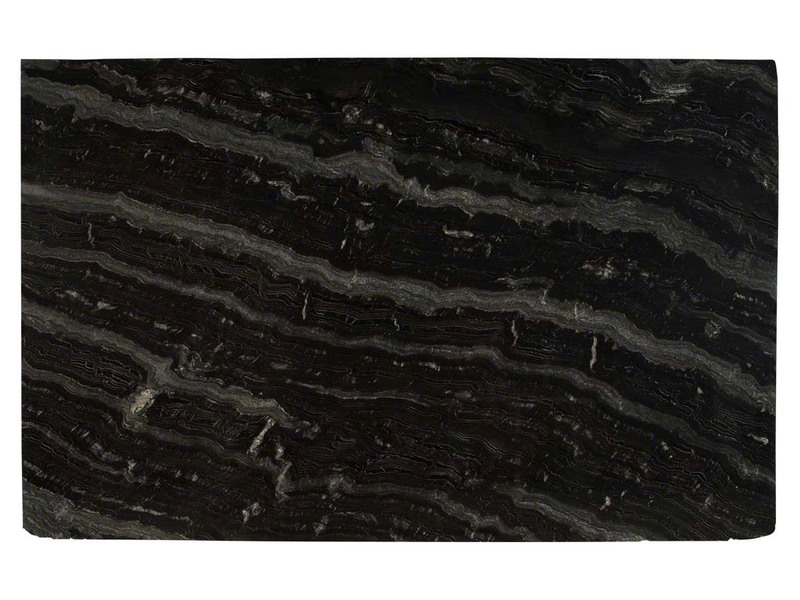 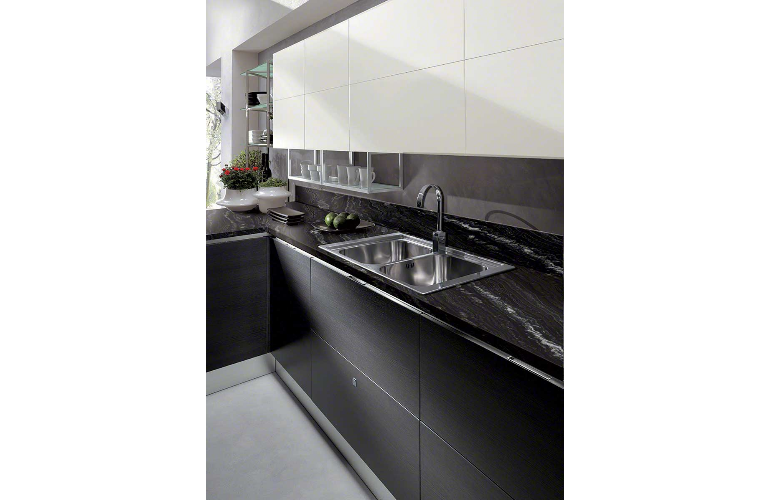 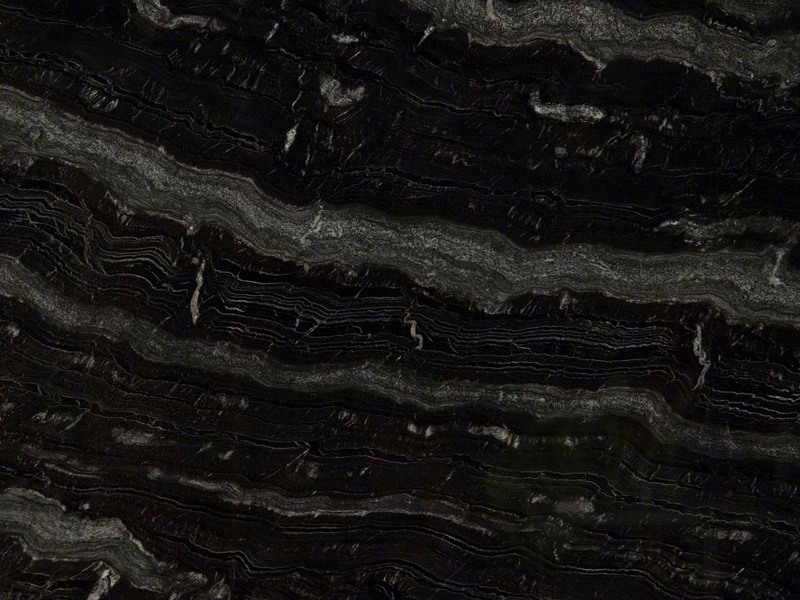 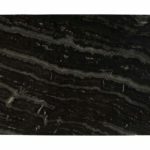 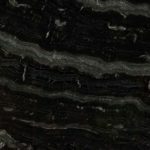 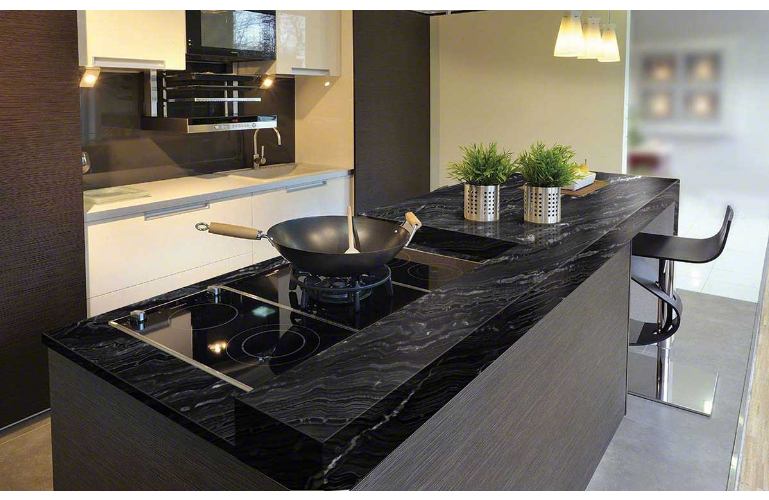 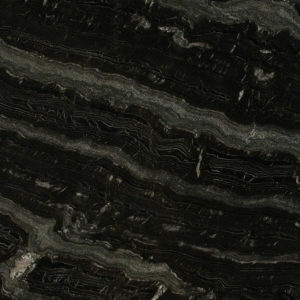 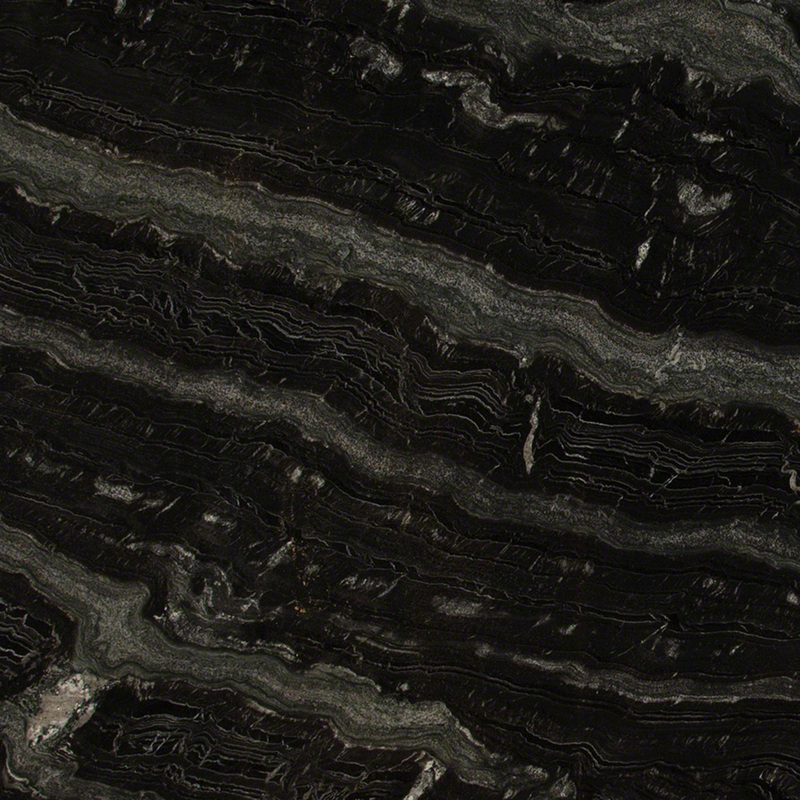 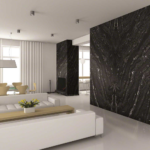 Agatha Black granite features a dark black background that partners beautifully with light gray and white wavy veins that add movement and depth. 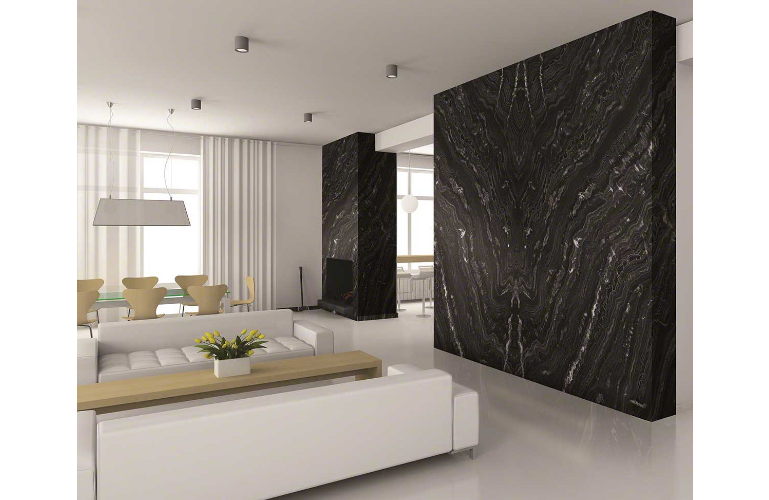 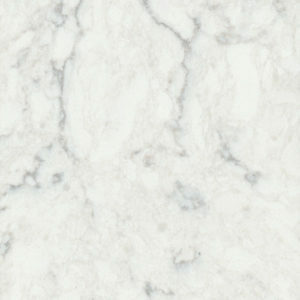 Both 2CM and 3CM polished slabs are available and suitable for a wide range of interior and exterior design projects. 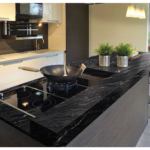 Create dramatic, bold, and beautiful granite countertops, kitchen islands, backsplashes and accent walls wherever a durable natural stone is preferred.